The first step in order to obtain a divorce decree in many states is to legally separate. Some states require a mandatory period of separation, ranging from three months to three years, while other states do not require that the spouses separate at all prior to getting a legal divorce. Many couples find separation advantageous, as it gives them time to work out issues to determine if they are reconcilable, or whether they are both better suited living separate lives going forward. Additionally, parties are able to work through issues such as property division as well as custody rights and other financial obligations. In Texas, it is not a requirement that a couple separate at all prior to applying for a divorce under state law. Instead, couples will commonly form informal separation agreements that they follow until a divorce can be finalized. Since Texas does not require or recognize legal separation, these voluntary agreements are only able to protect the spouses to a certain extent legally. They are viewed as contracts, and thus enforceable as court orders. Couples will commonly file partition and exchange agreements, outlining property allocation for assets that were community property under the marriage, but that will now get divided and become the property of one spouse, while they are still in the marriage. These agreements must be in writing and signed by both parties in order to be legally valid. Additionally, courts in Texas will recognize a Suit Affecting Parent Child Relationship, which is a temporary order of separation pertaining to custody rights. These separation orders will outline the rights and responsibilities that each parent has, their agreed upon child custody schedule, as well as the amount of child support they owe. This is best in situations where parents wish to live separately, but are not yet ready to file for divorce formally, whether due to possible reconciliation or in order to retain insurance. The minimum amount of time it will take for a divorce decree to be final in Texas is 60 days. However, it generally will take much longer due to the division of assets as well as agreeing upon a custody situation. The court will also grant temporary orders such as restraining orders once a divorce application is entered, which can take effect until a final decision is entered. 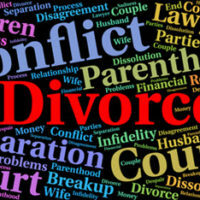 Laws relating to divorce vary state to state. It is important you when you are filing that you know your rights and what options for obtaining a timely divorce. If you or someone you know is seeking a divorce decree in Texas, we will help them get the results needed in order to move on with their lives. Contact Lindamood & Robinson, P.C. today for assistance.